The new Afinia H400+ 3D printer is the ultimate in affordability, reliability, and simplicity. It’s perfect for educators, hobbyists, and engineers who want to start 3D printing out-of-the-box and hassle free. One-year limited warranty included. 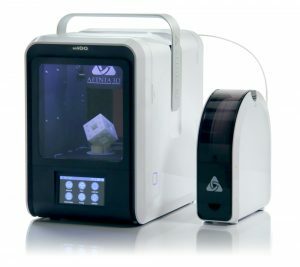 The Afinia H400+ is shipped fully assembled, ready to use, and with all the materials you’ll need*, so you can start printing in minutes. Just install the software (compatible with Windows XP/7/8/10, Mac OS, and iOS) and wirelessly (or via USB) transfer your print.